JOHN THE BAPTIST TV - "Kundalini Warning" - Andrew Strom, Paul Washer, Ray Comfort, Leonard Ravenhill	» PARODY of MODERN MEGACHURCH – Comments? PARODY of MODERN MEGACHURCH – Comments? Posted in TV & Videos by Andrew on October 26th, 2011 at 5:17 pm. “I was looking fot the church and I found it in the world. Rom 12:2 And be not conformed to this world. This is so absolutely worldly. This is my first comment on this site, but I have been a roamer for some time and have greatly benefited from articles posted here. Thank you Andrew for you service in the Gospel. I have seen this video floating around Facebook, but never watched it. Although I laughed when watching this, it is very eye opening. I found myself recalling every mega-church or “aspiring” mega-church service I have been in or watched while I was viewing the video. The sad part is how what was once our faith has been reduced to a formula, which the un-renewed mind takes great pleasure in. A formula enables the carnal mind to “auto-pilot,” while not being challenged to transformation. It’s sad to see believers resort to psychological formulas. @zealous: I agree, it is worldly. Nothing more than a concert and a political campaign merged together using scriptures. This is precisely why I left the ‘church’ in the first place – their services had nothing to do with God or the true gospel – just a slick package of motivational songs and words with the goal of getting as much money out of you as possible and trying to make you feel good into the bargain so that you would come back again to ‘sow’ into their ministry! It certainly made me feel sick – bet God felt the same!!! I’m so glad that the Lord is calling His true children out of such sick man-made institutions! This video was nothing like the mega church services I have attended. They always have at least two closing songs. my prayer is this – while the mega church packs them in – perhaps there will be John the Baptists in the audience, yes the audience who will stand up and declare the word of truth and repentance will take place. That was totally clever (I had to laugh), but at the same time terribly sad because it was so close to the truth. After one of the very first mega-church services I was attending closed with their last song, I saw the ‘pastor’ being hustled of the platform with actual body guards so no one could get near him! Then out in the lobby of the church, all the guest singers & speakers were lined up at tables to sign autographs & sell their latest books & CDs. I tried to be ‘cool’ about how much I liked the ‘service’, but inside warning bells were going off. It did not take me long ( as a young Christian even) to recognize the world in the church! Maybe because I had just come from the world! It did not take the Spirit of God long to take me out of that atmosphere either, & into a small doctrinally sound church that challenged me to Biblically grow into a true disciple of Jesus. Sadly I was highly criticized for feeling as I did about the ‘mega church’. I have to say the parody does not just illustrate what goes on in mega churches but also in smaller churches. Been there, done that, got the T-shirt! I speak from my experience as a person living in the UK. It is the hardest thing to pull out of such well orchestrated and outwardly spiritual machinery, and one can only do it by the grace of God and as God leads you. However, God has allowed this to go on and the state of the church to worsen, but He is bigger and greater than any of it, and as His word assures us, the gates of hell shall not prevail against His Church, so let’s not lose faith in The Church of Christ itself, as it continues to represent the Body of Christ outside man made institutions and systems. What man has created will perish, not so with the Body of Christ. This is a season in the Body of Christ that has been long coming and it is necessary in order to birth something purer and without blemish, so I welcome the false in order to be able to discern what the True Church of Jesus Christ is and should be. Praise God and only God! Only Him can draw us to the One that is True, Pure and Without Blemish. What a depiction of the modern so-called “church”. I wonder what the Church truly is. Some say it’s a visible, tangible people/organized body and some say that you cannot see it but only God knows. Seems to me the church the apostles started was one and visible and didn’t have any alluring rock bands. It isn’t coming…it’s already here…very sadly. I felt shivers go up my spine when I saw how closely that guy resembled one of the most famous charletons….Lol. I spent 8 years backslidden and when I came back to “church” it looked more like the world than the world did…so hard to find somewhere that is actually preaching Christs’ gospel. Thankfully I seem to be (along with many others) in a quarantine tank…being deprogrammed of the deceptions I previously fell for….all I can say is there will be voices in these last days who will stand up and preach / pray / live HIS word – vive la revolution! A great video with a powerful message for everyone duped into believing that ‘Church’ is a place of entertainment rather than a place to humble yourself in the presence of the Almighty God. So often the thing that is missing from the moment that folk enter the church building is reverence. People are so busy chatting to their friends that they drown out the voice of God. i agree with all these comments, especially the idea that the light shines brighter the darker it is.lately i am finding the state of ‘ the church’ motivating me and compelling me to want to begin seeking out those who want the real thing and are absolutely angry and fed up about the precious ones who are floundering and scattered because of the proud unapproachable so called leaders. recently even benny hinn furiously rebuked the coffee clubs and seeker sensitive services, praise god !!! What alot of self in this church and nothing of God.There is no difference between this and some secular musical stage show.I have been in a church(name withheld) with all its flashing lights,smoke puffers or what ever they are called.This is very sad.Where is the crucified life,the narrow way and Holiness preached these days?Re-marriage between divorcees,fornication between young people is winked at and ignored instead of being exposed.The houses of God are full of sexual immorality.The morals are as bad as that of an allycat.These things should cause us to weep and cry out to God for revival. However,God always has His true Bride who are sold out to Him and walk in the Holy separated life.My God move and expose the appostate churches. This is so sick. As someone else said above, this is exactly the reason I left the church system. I’ve never been back in over 15 years and I’ve never regretted it. You mean this is what the average church service has become while I was away? How dare they blaspheme by calling themselves Christians? Has anything changed since Jesus time. He cast the money changes out of the temple, in justified anger. Yes, the modern church has become very commercial, so how about showing us a video on what the church should look like. There is nothing wrong with great music in churches, if it is offered exclusively for God’s glory. It is good to look inward and self examine to make sure we are living and worshiping God in a way that pleases Him, but how about giving something positive also, by demonstrating how a vital church should be conducted. The early church was a good model, small groups like home groups, where real discipling took place. The early church model was run in small groups though because they were held in homes, and were largely underground because of persecution. I like your articles Andrew, but I see a whole lot of knocking and not enough building up. If you are going to criticise the church with justification, I believe that you also need to offer some answers. Let us expose darkness and worldliness whenever it appears in the church, but let’s also offer solutions too. It would be a nice to see some balanced comments. I saw the beginning of this kind of thing a few years ago. Now, every church tries to BE this church. It all plays on the emotions. The more emotion you feel, the more spiritual you are. What a lie! How easily we can be led astray. God forgive us and help us! Many years now, I have said u cant win souls to Christ by imatating the things of the evil one. The book, Mega church realy launched what was already started. The rudements and traditions of men has had its way to long. All for a reason,,,HIS. He wins in the end. Stand up for Him in everything u do and say, letting Him use u as His mouthpice in this darkend world. People come to His light in u,,because it is His. Share Share Share till He comes for His spotless church,,,,amen Letting His Love work thru u. Is there no one out there to defend Hillsongs? I bet many of you use their songs for worship either in your cell groups, smaller churches or at home and why not! Or have you forsaken and neglected to assemble together with other believers when you left the church? I’m actually a fan of quiet reverent worship and the old hymns that were birthed out of earlier revivals. There seems to be a lot of righteous judges out there… let him who is without sin cast the first stone. Jip! Very Clever! It saddened me though. Mega Churches even small ones conforming to a man made system and deceiving mega millions of souls. Why? I believe that the majority of people love it so! They create their own God and gospel… It is only the “aliens” that cry out against this. And crying out and speaking out makes us targets for persecution. But it was never said that true followers of Christ would be without it. Blessings and encouragement for all. I would want to remind you to endure patiently. We have a hope laid up for us in heavenly places. See you there! A good discussion point mentioned above would be what the TRUE church might look like if it was transplanted to our modern time. It is no wonder more folks are staying away from churches. They can get the same “show” elsewhere but without the entanglement of committment and the strange language and behavior. To address Andrew’s follow-up question: I fear that those who are of God (aka, Christians), have drifted so far from what the TRUE Church is all about and what it looks like, that we have forgotten and cannot easily nor quickly find our way back. To illustrate, let me ask 2 simple questions: (1) What is the central theme of the bible? (2) What is the central them of the Church? While this video may have a point, I felt sick as I watched it. Not because of the fact that mega churches may follow a pattern and have a structure similar to the one depicted in the video, but because of the spirit it which this video has been made. This is absolute cynicism. And I’m sorry, I do not see the Holy Spirit using such a cynical video to bring repentance about to any pastor or leader who might use a pattern like this in their services. This video does not help the problem, it only makes the problem bigger through it’s cynicism. I’m saddened that people have lowered their standards so much to spend valuable kingdom money and time for cynicism than actually seeking God and bringing about a righteous change. I would rather people sat through a mega church service than watch this video, because God would have more chance of touching them and changing them in a service than by watching this video. This video made me sick and it’s a waste of time, and I certainly don’t believe it was made with the Holy Spirit’s approval. The state of the church to do such a thing is shocking, to sit by in cynicism rather than reach out to change things. Easy, Nathan. Your remarks come across so loudly that I can’t hear what you are trying to say. You seem to be saying and doing exactly what you accuse the video of doing: Nothing constructive and a waste of time? I was saddened as I watched the video and read your comments. Your are talking about the church I attend. You disclaim the form and proclaim that we are of the world. Our vision is for everyone in the world to have multiple opportunities to see, hear and respond to the gospel. Here is a link to a recent Sunday message. Please take a look and let me know if this is a message of the world. Warning – the speaker is dressed casually and sits at a table with his water bottle just like the video. When the Holy Spirit is absent, people feel a need to fill up the “dead air” space so to speak with something else, it would be unbearable otherwise. That is a good question Andrew, and I believe the new testament church would look much the same in our day as it did back then – a prayer meeting with all parts of the Body participating as the Holy Spirit leads, with a time for fellowship and communion. His house shall be called a house of prayer. Simplicity. I wholeheartedly agree with Nathan. His comments are very constructive. When I first began watching the video, I felt sick. Something didn’t feel right. I didn’t sense that these people were doing the video out of love or through the anointing of the Spirit No matter how true the video might be, it doesn’t give us the right to elevate ourselves (become proud) as if we know better and have God all figured out. Why do you think there are so many denominations? Christians need to lay down their pride and live by example. It’s always easy to criticize from the sidelines, but not be a DOER of the Word. Yes, we need to expose sin; rebuke our brothers and sisters who err, but more importantly we need to correct and show them a BETTER way. Do we have the better way? We have to stop playing church and BE the church. Let’s walk in love and compassion for our fellow brothers and sisters. When the Holy Spirit has left the building, nothing is left but to try and substitute it with emotional manipulation; which is a type of witchcraft, but has it’s roots in iniquity. Nobody wants to “wait on God” anymore, and all the big money preachers are concerned with is the bottom line, and building a memorial to THEIR ministry, to make a name for themselves. I’m afraid, the problem is much worse than what we realize. I listened to the sermon as requested by Robert McDaniel (above). First, Robert, you accuse the video (and Andrew?) of “disclaiming the form” and “proclaim that we are of the world”. I disagree. The video/Andrew did not ‘disclaim’ nor ‘proclaim’ anything toward you or your church. And, why are you and others that are taking your stance so sensitive and quick to accuse of an offense when no offense toward you was intended? Is it because there is some truth to what is being said? The “form” or style of the church service was polite, neat, organized and presented very well. I did not get any sense that this man or the church was ‘of the world’ from your church service video. So, relax. Furthermore, the sermon was a good lecture. The pastor/lecturer is passionate and holds your attention. The subject matter was from the bible. No harm. No foul. And we all know that God can use just about anything to woo people to Himself – and this sermon/lecture was very good. Let me see if I got it right? The preacher chose the word “Holy” to talk about; He defines the word for us. Then he references a scripture about ‘holiness’. Then he uses a cursory reading of the bible to expound his thoughts on that matter. He closes by challenging the listener to decided to walk with God and become holy. I have been preached to. I have been lectured. It was fine. Do it every Sunday. And again, no foul. But you know in your heart, as do thousands of others, that if we are not careful it can become empty. It easily appeals to our vanity. It easily becomes all about looks, presentation and intellectualism, wrapped front-and-back with emotional music. Is it the main theme of the Bible? It is not the main purpose of God in the Bible? I am tired of the show. I am tired of feeling good about spending an hour our two in a comfortable seat (and I LIKE comfort). I, as are thousand and millions of others, are in need of GOD and HIS Presence and power. I need to “walk barefoot if necessary, in the hills and valleys” in pursuit of HIM. I ask again: WHAT IS THE MAIN THEME OF THE BIBLE? It is about Him: Crucified and raised again as payment for my sins. Now, I am set free and raised with HIM, to live a NEW life, full of grace and mercy. How can you NOT tell that story if it has happened to you and you are living it? His Church… His church will be called a house of prayer. Full of those desiring Him–just Jesus. “…but we all, with open faces, beholding as in a mirror are transformed…”. We must ask ourselves “are our faces really OPEN?”. The more we look at Him, the more we look like Him. It is the Holy Spirit’s job to convict one of their sin. No church program or style can do it, and should not be trying. The church is not to be a concert or a performance! Presence of God to transform them, while there’s time. The evidence of that change is seen on one another’s faces the next time they gather. When they gather, the worship happens… People in love do not need to be told how to show it! His Church, welling up from their new nature, offer prayers of gratitude as hearts filled with the mercy shown to them– the compassion of God, do what they see Him do, and say what they hear Him say. How could there be anything better this side of the full transformation –His appearing? I think it is very dangerous to judge the heart of others. God sees the very thoughts and intents of the heart, while we, as humans, are only judging by what we see on the outside. I wouldn’t feel comfortable even considering the brightness or dimness of lighting as revealing the heart of a person or their intent. That said, I also do not think it is scriptural to mix business (money, profit, selling things) with a church service. It is true that some people try to sell things from the alter, and I don’t believe that is scriptural. Jesus ran the money changers out of the House of God. And everything He did was because He saw His Father do it. What would the Church that Christ led look like in today’s world? Loud, Joyful in praise, but weeping for the lost. The Church wouldn’t be concerned with the size or lack of a bigscreen monitor or electronic gadgets. If Jesus walked the earth today (in human body) with his followers, He wouldn’t spend his time in a big barn selling tapes and CDs. He would be on the streets with the people in need, healing, preaching, teaching, and demonstrating love and justice. He would be doing the work of God on the streets for the people just like He did 2000 years ago. I agree with Steve and Nathan…we who are followers to of Jesus are in the School of the Holy Spirit and when in school we are exposed to many things…but thanks to Jesus, the Holy Spirit in us guides and teaches us about all things…this video was upsetting in the fact it tears down and does no building up of those watching…it leaves you sick inside…we understand what you are trying to say, we know how the church has strayed , but mocking it and not explaining why this is a problem is very sad! People need to be drawn to love Jesus with their hearts souls and minds and strength…as we seek God He directs us and teaches us…if we seek him with all our hearts He will be found…and He does order our steps , reveals His direction for us…Walking in love and not being critical and sarcastic is more powerful. I did not find this a tool to discourage anyone from attending a mega church…What about Billy Graham and the thousands that came to stadiums to hear him? We have to discern the leadership, message and what does God want . I appreciate your trying to get a point across…but I think it was off base. 1Cr 14:26	¶	How is it then, brethren? when ye come together, every one of you hath a psalm, hath a doctrine, hath a tongue, hath a revelation, hath an interpretation. Let all things be done unto edifying. So clear to me now, when I was at Toronto the Holy Spirit left as soon as they cancelled the prayer meeting that used to start the week, and replaced it with another “service” which they could broadcast on the internet. Which then was pleasing to the Lord, the prayer meeting in which all participated as led by Him, or the “service”? ..oh help us Father…when was the Holy Spirit given, under what circumstances did He come? during a church service or during a prayer meeting??.. Maybe look at the organized churches in a different way. The people who attend are in need of a Savior. They go to those church services (entertainment halls) searching for Him. The perspective of those who do know the Lord should not be a fear of how those churches could somehow get them off track, but how to maybe reach those who are searching. Maybe consider how the small home group that is assembling in His name, praying, and being lead of the Holy Spirit could influence these churches. Not by taking them over necessarily, but one soul at a time. Many of these mega churches have small group meetings that some could be reached. Teens that have youth groups, children’s church etc. Seems we are not to fear the darkness, but to be a light in it. Big crowds could offer opportunities to make a difference. If they are not shown who the Lord really is, then how are they to know Him. Who will show them what our Savior can do if those who are coming to the cross and becoming free, and growing in the Lord run the other direction? Coming out of her may have a different type of meaning. We are in the world, but not of the world. Looking not how we can obtain spiritual food from these organizations or how they can be a blessing, but the opposite. How the Christian can feed the multitude and be a blessing. The organized churches have become the mission field in America. PATHETIC!!!!!!! This video was so arrogant and condescending! You so called real prophets are just as bad as the mega church false ones. You’re just as arrogant as Cindy Jacobs has been. You come across as the only true prophet of God and anyone else is just lying. You are a joke and I do not take you serious at all. You proudly brag that you predicted the financial collapse and mock anyone else who believes different than you. President Bush said in 2001 that a collapse was coming. Where were you back then? Is a prophet of God? NO!!! I was saying the housing bubble was going to collapse long ago as well. The sad part is I wanted to be just like you people. I wanted to pastor a mega church and lead people to what God was really doing until I realized the unbiblical crap they were spewing forth was ignorant. I then wanted to become the finger pointing prophet of God demanding an unattainable holiness and repentance according to my words. I have been both. Let me tell you people the truth. Neither is right. If you want to see what God is doing then ask him. Quit looking for a super prophet to follow. We already have one!!! is the one I am in. I was called out of the Babylonian Church system in ’81, and am so glad. Praise His Holy Name, that he has raised up OVERCOMERS in these last days. The short video was sickening. I wouldn’t go in the door, and can’t unless the Lord sent me in. These videos are just great…They present the asolute truth…keep up your great work of exposing the false. My daughter went to one of these churches and they gave her a $5 gas card to come back. Clever & oh-so powerful! There’s little I can add to what’s already been said, other than to say both church & church-goers appear to be more into entertainment than into seeking/serving & worshiping God. I could point my fingers at any number of errant churches, but the video also serves to stir my heart as I search there for my own true motives in being part of His body. You want to see a New Testament gathering in action today? Go to Duxbury, MA twice a year for the free meetings of the Free Christian Society at the Ashdod Convention Grounds–a strange name considering that it’s an old meeting house, a farm house, and some bunk houses, and a couple of out houses. Andrew asked as a discussion point what the TRUE church might look like if it was transplanted to our modern time. Foundational in such a change would be for Believers to make a start by displacing the untrue words that have for centuries usurped the true meanings of the word of Christ and using the true ones. We are told not to add or take from God’s Word but don’t these false words do that? The most abominable of these is the word “church”. It is common currency, not altogether unwittingly, among Believers as well and others. There is no such New Covenant reality as “church” or “baptism”, or “bishop” or . . . Kept hidden by the falsity of “church” is the good news of the Kingdom of God as per the New Testament. Very blindly done with unrighteous Judgement. You’ll miss God’s working and what He’s doing in His Body right under your own nose by this kind of vehement stuff. Ephesians 4: 2-6–Be completely humble and gentle; be patient, bearing with one another in love. Make every effort to keep the unity of the Spirit through the bond of peace. There is one body and one Spirit—just as you were called to one hope when you were called— one Lord, one faith, one baptism; one God and Father of all, who is over all and through all and in all. Since we are all members of the same body, you are guilty of injurying yourself with this unwholesome talk (that is if YOU are a Christian–part of His Body). We are not to grieve the Holy Spirit of God and that is exactly what is being done through schemes like this. This does nothing to edify or build up the Body of Christ. This was not done by eyes filled with the spirit of wisdom or compassion of Jesus Christ, but rather by eyes of jealously, foolishness and condemnation–eyes blinded by the beam that is in it! Make no mistake about it, Jesus has said He will build His church and the gates of Hell would not prevail against it (Matt. 16:18) and he’ll get the job done without any help of this sort of self-righteous, hypocrital evil. Where’s your faith!!?? God, open the eyes of your bride and grace her with some humility, I pray in Jesus name. So where is the church? All I see is a lot of advertisement for what? Is this what our churches are coming to? I assume this is the message, do whatever you want churches (in the service)!! So where is God in this whole thing-I don’t hear anyone in this video even mentioning anything about God!! To me, this video is all about “look at me” in other words fleshly things and that is all that will be in the church of the future–no mention of God whatsoever in the church!!! Yes, God certainly needs to open the eyes of His Bride!! All I see from people who claim to be Christians on FB is exactly what this video shows, all about me, me and me!! God’s Bride definitely needs to wake up!!! B4 the disciples receive the Holy Spirit; (Matt 10), they were casting out demons. Today churches can’t cast out demons; and suppose to have Holy Spirit. Jesus couldn’t do any mircles in His hometown cause of their unbelieve. Shows how far we are in unbelieve; that with Holy Spirit we can’t do what 12 did with believe. many churches openning the ‘storehouses’ to make sure their people not homeless right now……..!!!! most churches are hurting for $$$ since they misused what was given to them in years of good; so if they close could be God’s will to close bad managed churches. person comes to church i lost my job; leaders ask what you got at home; just a little oil; Oh, go borrow all the containers you can, pour oil in them, then sell the oil, pay all your bills, and live on the rest until things change. 2nd person; comes up for prayer; IRS has closed my bank accounts, i can’t pay my taxes; leaders prayer, get word, go fishing and you will find enough $$$ to pay both your, and mine taxes for the year. 3rd. person comes up; i have big family no $$, and only 2little fish, and 1/2loaf of bread; leaders pray over the food; food doesn’t ran out, and family eats more then 5k meals from it. 4th person; my clothes are getting old, no job, leaders pray their clothes don’t wear out for more then 40years. Jesus stated we could do what He did and more; ever see mulit. mircles in model western churches today? so was Jesus lieing; or church in sin? This video is so old. How is it fruitful to criticize it this late in the game? This reminds me of what a missionary friend of mine said a few years ago. With the way this (a specific church) is going while I’m away on the mission field this church will grow a mile wide but only an inch deep. And you know what he was correct, that’s what happened. good morning Andrew- I liove in a small Montana community w/a larger college town half an hour away…. What I saw in the video is very true…. Now – as Christians, we can all agree with what we saw… and what I am wanting to know is – how do we respond to it….? There are 27 churches in my county – not one is alive with God in control… All are following after the carnal and fleshly ways of ‘religion’. For the most part – our Christian community has become like Dorothy and her friends in the Wizard of Oz – passing through the poppy field and being lulled to sleep…. So – now – as those who are awaye we can do one of two things…. We can watch the video and thank God that we are among those who have not been lulled to sleep spiritually…. OR….. we can begin to pray for those around us….. I became aware of the mega church movement in the late 1980’s and was sickened at what I witnessed…. No genuine power or authentic annointing – just entertainment…. Imagine how God’s heart hurts…. The church is always referred to in Scripture in the female gender ( she ) and as we all know – when a baby is born it depends on milk to survive…. And as it grows, it weans off the milk and on to solid food….. Jesus said ‘ I have meat for you to eat that you know not of….’ When we continue on milk and grow older – we may be alive but very sick and anemic…. spiritually as well as in the natural…. What Jesus was offering to this woman was – relationship with Himself…. Fellowship is an important part of our Christian walk – but we must be a Bride who continually seeks and is in fellowship with her Bridegroom…. because – as in any marriage – once we are betrothed to someone – our friends become secondary in our lives…. And as far as where we are in time – the church age is slowly being phased out and we are preparing for Jesus’ return and the millenial reign to be ushered in – where we rule and reign with Him for 1,000 years…. Five years back, our family experienced a tragic loss, as one of our boys in his early 20’s fell asleep on his way home from work late at night, and his truck went off the road and rolled and he was killed…. Our reaction was not to make a video re-inacting his falling asleep at the wheel, and then pointing the finger at him for doing so – which inevitably cost him his life…. No – we were all terribly grief stricken that his young life was cut short…. Our only consolation was that he was right with God… The pain never goes away…. So now – back to the present and this web site and video…. What is our response supposed to be….? In Isaiah – it is written ‘ is this not the fast that I have called you to ? that you put away the pointing of the finger…” In other words – when we see something wrong in someone’s life – God has asked us not to point the finger, but to love others enough to pray for them… Nothing changes until people pray and the power of God is sent – to change things…. These mega churches are not the problem – but merely the symptom… ‘ If My people will humble themselves and seek My face and pray and trun from their wicked ways – then will I hear from heaven and heal their land….” II Chr 7. Everyone subsrcibing to your newsletters and watching this video has a choice….’ Except the Lord build the house – they labor in vain that build it’…. Isn’t it about time to deal with the pride in our hearts and humble ourselves and pray for others and send up the ‘building material’ that God can use to build in others’ lives… The mighty Carpenter from Nazareth is waiting to hear from us…. Sincerely, Lindie Gibson in Livingston Montana – for the Saints and for the Lamb…. We posed this question to a few folks a couple of years ago. “Why do you attend a mega church?” Their replies were almost similar, “They don’t have accountability when going to a mega church.” They can walk in, put in time, walk out and punch back in next Sunday. Good parody! Sometimes various methods (such as a parody) need to be used to make a point – a point which a number of contributors above seem to be missing (sadly). If it is wrong to use a parody to get a godly message across, then I guess Elijah was wrong to parody or ridicule the prophets of Baal on Mount Carmel. Using a parody can be every bit as godly as the use of poetry, parables, hyperbole, story-telling, or a host of other figures of speech and communication methods. Even Christ used some of these. As far as the comments of Steven, Nathan, and others go – please feel free guys to offer something positive instead of merely denigrating this parody thus doing the very thing you condemn. Andrew, you asked what a gathering of the Church should look like today. It should, above all things, be centered on Jesus Christ – not program, what’s popular, not even music or worship. If one is focussed on Christ, one will worship Christ. If one’s focus is on worship, it can become one’s god and Christ can be missed. The Word of God should also be central in a gathering of believers. There should not be a gathering without the study and ministry of the Word of God. As Mum has quoted 1 Cor. 14:26, so should the various parts of the body minister under the anointing and leading of the Holy Spirit. There should be no division of “professional” and “non-professional.” Some of the most anointed music ministry I’ve sat under came from those who never took a music lesson. Take particular note of 1 Corinthians 14:26 – it says that “EACH ONE” has something to minister to the rest of the Body. This means that Christians need to change their mindset from, “What can I GET from this service?” to “What can I GIVE to this service?” Do we go with the attitude of giving or getting? Do we prepare our hearts before God ahead of time to give and contribute to the rest of the Body? There should also be prayer – real prayer. Not the printed prayers which can be said without one even engaging one’s brain, but rather a real connection between the people and God. Thanksgiving, rejoicing, praise, worship, intercession, petitions – all done from the heart in spirit and in truth. There should be no too Church services alike. Our God is a God of infinite variety and loves to express that through His people, so why should each service be so predictable? As a pastor, I’m not against having a service outline or a direction in which we are travelling, but that must not take the place of the Holy Spirit. There are times I’ve preached the message first and had the worship at the end of the service; times when the altar call was given near the beginning and the ministry of the Word after; once even when I did not feel the Lord had given me any message for Sunday morning and we followed the leading of the Holy Spirit (who did bring forth the message – through other members of the body). I’ve had ordinary members of the Body approach me just before a service asking if they could sing a solo that service, or if they could minister in some other way – and the Body has been blessed and ministered to as they did. I believe that a gathering of Christians should not be so structured that there is no opportunity given for the Holy Spirit to minister through the gifts listed in 1 Cor. 12. There’ve been times I’ve been visiting a church and the Lord has laid a prophetic message upon my heart, but the service was so jam-packed with non-stop noise it was impossible to move in the flow of the Holy Spirit. I’m sure there are many other factors which should go into what a gathering of believers should look like today, but I’ll stop here. One more comment on the type of things this parody brings to light – Why waste the Lord’s money trying to put on a flashy show to attract or keep attention? Many in the third world (and even in the western world) could be reached with the Gospel with what the “church” wastes on material things trying to be like the world. We should be good stewarts before God with how we spend His money doing His work – not wasting it patterning our “ministry” after the world’s entertainment and show business. May God help us to be what He called us to be. Just wanted to express my perspective of someone who led to & truly saved in what is “labled ” as a “Mega ” Church. Total I think there are 6-7 thousand who attend one of 3 services. In this particular Church family (calvary based) the main focus is on The Word, Worship, Missions. The Spirit of God is present – even more so now than in the past. I won’t get into all the details but it’s God Himself who is the head and fortunately this Pastor has been listening. I realize there are many issues that crop up in The Body of Christ and some of these pastors have a tendency to be more led by the flesh than by The Spirit. Some are more apparent than others. But as one of your own in Christ – it does get a little wearysome hearing negative comments on the dreaded title of “Mega” Church 24/7. I believe God is able to work in the hearts and minds of large groups of people as well as small. Not all “Mega ” Churches have adopted these worldly programs to the point of quenching the Holy Spirit. Wake up and GET OUT! This Video was made by a mega church here in the USA. It is not a shot at all mega churches but only aimed certain ’emerging’ churches/movements. The problem here is throwing the baby out with the bath water. Time to grow up and discern case by case and not throw the whole lot in one mix. Yes, Kathy Landrum, yes my sister! Love it! everytime i watch this I still crack up and see the overwhelming attitude of today’s relevant church. We’ve traded in truth for an opportunity to create a bigger organization. However although the church I have started going to uses these elements, the gospel is preached and I am challenged after 20+ years leading worship. I finally get to sit back and enter in as just a child of God and an individual, not a leader or doer. it’s kind of nice. At least with the tools they use they dont forget that Jesus is the central example of who we are to grow to become. So their not all bad, but I do see the trend in western society heading down a path that has churches looking to simply survive – too big to fail concept – and they are forgoing the weighter matters of true worship and true power. very funny video indeed, have been planning part of a baby church of this type – it serves its’ purpose with people who have real or imagined hurts from traditional “church”, so I will not mock it. I saw people grow to trust God in such an environment and then move on to deeper walks and callings. not every person is at the place of being a ‘watchman’ but rather in need of salvation. I came from a deep Bible based background before being called to help at a baby megachurch. I cried out “why” and the LORD reminded me that some people need to hear of Him at a preschool level and that I was NOT to be coddled with meat when others needed milk. Since that 3 years of my life I have been in ministry in inner city Nashville TN and preparing for ministry in Israel (my reason for being in a Torah observant congregation by the way; to be immersed in that depth of law in the Jewish person’s life). All much heavier meat than I was chewing on before the seeker oriented leadership experience. why is it that the ‘intellectuals” always mock what they think is beneath them? are they in the street with the people who desperately need the LORD? I wonder how many of us will promote the gospel this week in a relevant way. Probably not many…that’s the pastor’s job right? In reality seeker sensitive and even seeker friendly constructs are only abominations when applied to the concept of the church. If the mega-“church” was correctly called a mega-outreach we would probably have little problem with it. After all no one else is promoting Christ to the world so why not put on a concert in His honor. The disaster comes when we are led to believe that this is a substitution for church. But then again I am not sure I have ever even been to church. You know the kind that’s a body of “believers”. Where all are like minded and of one accord. It is not a place for the worldly and we are even to expel the immoral. The spirit in that environment is expected to manifest through prophecy and healings. So until we 1) start churches, and 2) assume our roles as emissaries for Christ sent into the secular world, what better option do we have? Notmuch I can add.. I just came out of a church going inthat direction. I agress with the post by Zealous & the Ravenhill quote. This is why we left some churches in the Netherlands, it is here the same as in the USA. for me this is the world in the church. Praise God that we found a small church in the mids of the Netherlands, where we enjoy the Word of God and sing to the Lord with our hearts and rejoyce in Him and where we are educated in the Word and get discernment. Be blessed brother and please preach the Word. Interesting comments – I believe that the importance given to one particular office of the 5 fold ministry, the absolute power and control afforded it is where we started going off of the track. If we get together and each of us have the oportunity to realy share and participate – things will be better and people will be more involved. As things stand now you get a “king pin” with a select few forming the inner circle – perhaps in this whole process is where we are losing the influence and guidence of the Holy Spirit and start following the world system. Years ago I was part of a group of people getting together in a tent on Sundays – in our humility we experienced the presence of God – after a few short years however,with tremendous member growth, a church was built – things were never the same again. The gathering together in simplicity like with house churches where the big bands and sound systems are left out of it seems to be the better option – where to find such groups though? On the issue of catering for beginners – I have no problem with this, except for the fact that if no solid food is given, very little growth will take place – the masses do not know the “WORD”. Dont JUDGE all churches that have a similar “style” … trust me we have the odd church that sticks to formulas and methods and you have no presence of the lord there .. yet the people seem content…. you can even get the “old school” churches that make you sit then stand then sit then stand . and you walk out feeling more confused than when you walk in!!! Short movies like this one can cause division, confustion and discouragement .. and I question you …. is that from the Lord !!!! Its amazing at what lengths people go to make these short movies when they should really ask themselves … Is this what Jesus would want me to do with my time??? Im an ex Church Judger .. and the Lord is dealing with my mindsets … There are different flavours of church as there are different flavours of people .. All I can say is you should be led to where you are led, all churches have problems that you can pick out … all PEOPLE have problems that you can pick out!! are you being frutiful where you are? What have you done with the talents the Lord has given you? I guess Paul was very “critical” then when he warned in his letters to Timothy. The devil always accuses us of “judging” when we admit the danger in something in the churches. We are to warn and rebuke and not stop Paul says. That is not judging hearts, that is judging fruit. And it the fruit is bad, the whole tree is bad…..says the Bible. We need to warn the Christians to flee from such for their souls are at stake here. We need to thank men and women who have enough of God in them to care enough to warn like Paul says we are to do. I say…keep on and don’t ever stop warning! At least not until the day comes when we all are safe in His holy Presence forevermore! Where’s the definition of this “the church”? Hands up who doesn’t know Christ said: “. . . upon this rock I will build my ekklesia (My Called-out Ones – His Holy Spirit Assembled Saints). The Lord absolutely did not say: “I will build My church”. He didn’t. So why should we? Yes it sure looks like the denominational church has become like the world or the world has become like the church which once was the spiritual church gathering. This sudden change did not happened over night or when we left the denominational church. This worldly change in the denominational churches has slowly been taking place throughout the years even though warned against worldliness by bible. The denominational church people were slowly being conditioned for this change by following the masses and no one questioning Gods elect or this great worldly church movement. This change caused Gods people to change from something that they were to something that they should not be now. This should be no surprise because this also happened to Jesus church in O.T. when it became so worldly that he then decided to bring change to it not by revivals of past but by removing chosen people from O.T. Church and its worldliness that it had come to. Sure looks like he is bringing this kind of change again to his denominational church people. This change does not look like revivals of past like we had in our denomination church life, but it does look like change or individual revival that is taking place by removing certain chosen people from the Denominational churches like he did me and thousands or millions more. I believe denominational churches were once Gods churches but became the people’s worldly churches just like they did in O.T. church in Jesus time. To take the world out of them Jesus chose to take them out of their O.T. church. Remember this O.T. church was the only place of worship Gods people knew of and felt they could not worship God without it. Why because they were commanded too by the law and had done so for hundreds of years. I’ve heard of many hardship testimonies from people coming out of their beloved denominational churches but no matter how hard it was for them to leave. It was not as hard as the Jews leaving their Jewish church to follow Jesus after he died. God chose to remove his people from his O.T spiritual church because it had become Gods people’s worldly spiritual church. This seemed to be Gods plan or method of dealing with a worldly gathering of his people then. If this was so then! Why not now? Sure looks like he is doing this again to me. If not why have thousands or millions left and are still leaving the denominational churches today. Who is leading this charge or change, who is doing this, where is the big name or title behind this movement of people. There is none only Jesus who through the Holy Spirit could do something of this magnitude. There is no room for a pastor, priest, minister or person to capitalize on this or take glory in any of this. The Wesley’s, Finley’s and great men of past revivals who I greatly respect cannot compare to Jesus and the move of Holy Spirit that he is doing today. You see we can only go by what we can see and we can only see what he lets us see and we he will only let us see what we go to him for. It does not matter what I or any great minister or new leaders say to you because if one does not keep their faith and trust in Jesus first and keep him as your king and leader first. Then one can fall back into another kind religious environment again like we had when we were in our denominational churches where we needed a man to lead us more than God to lead us. Should we still worry about what the denominatiol church is doing or not doing or should we follow Jesus and see where he is leading us now that he has taken us out. I think the denomination church is still in Gods hands and he is going to do with it as he wills and he is going to take out who he wills and keep their who he wills. This is very funny, when its posted on tube, but when posted on a site for us to be lead to criticize the church it puts a whole new meaning on it. There is also one of these on the “Homechurch” again very funny, but that one was not posted here? If any of you have my sence of humour we can do one of this site too, it would be set from the book Henny Penny. Who believes the sky is falling everytime something drops, yeah kinda like AS hey lol, making sure we picture him as someone who edits his site to make himself look good. heard from spiritually starved believers around the world today: “Woe is me! . . . There is no cluster to eat” (Micah 7:1). shall not find it” (Amos 8:11–12). seeking to satisfy a hunger and thirst for something to nourish their souls. the straw of perverted gospels. well the flesh loves it, but I left it years ago and I do pray for the people there and when they come out I am there for them to transition into LIFE AFTER THE BOAT. First Andrew would it make use of our modern technology? I believe it would. – in moderation. For the first time in living history the internet is allowing the Gospel to cover the whole World. Our website is going gang busters we can hardly keep up with the requests form all over! Repentance, Baptism in water and the Holy Ghost, would be preached as a necessity. The Congregation would not be demanded to “tithe”. With great wonder, joy, glory, and eternal thanks, just such a book already exists it is called “The Word of God” Freely you have received freely give. We do well to take head of it! What has morphed into the modern church is really a stretch from what I imagine would have been the early church. I have often thought that if there were ten or twelve of us who had walked with Jesus and been his friends for three years, and then He died, what would we do? (go back fishing?) Anyway, I think if it was a modern setting, we would call each other, and meet together in one of our homes. Maybe share some donuts or coffee, and then we would ask each other…..How’s it going, now that the Master is gone? Are you hearing Him say anything? (they weren’t used to hearing His voice except naturally) If so what? What about the mandate? How do we do that? We would talk and learn and pray and try to obey the things He spoke to our hearts. There would have been no steeples or builidngs, but everyone around would have known the Christians *by their love*. Christians would have readily attended to the broken around them, given their lives away as it were. They would have fellowshipped together as often as they could (daily) shared meals, prayed, sung hymns, shared what they were learning and hearing, read the scriptures….I think it would have been organic and simple and filled with POWER because people didn’t have a system, they had a saviour and they allowed Him to be the head of His church! Surely this video is there to promote the megachurch? We laugh at something that we accept as a normal part of life so this assumes that connection. It is great to parody our own actions but I believe that you are in the wrong place spiritually when you parody somebody that you disagree with. Coming from this venue as a worshipper and a lead guitar player in these baseless Churches that are everything but God driven. I had been in this kinda of Church and also traveled somewhat being involved in these kind of churches. It was heart breaking to go day after day wanting to hear the Word of God being taught and spoken. But it was so disheartening I laid down my God given talent and left this kind of religious blasphemy. I have settled down in a small church with God fearing people and a convicted man of God teaching and preaching. It is great to be with believers that take God seriously and Worship God in Spirit and Truth. It is an answer to prayer no more Rock concerts and empty messages. I have a home filled with God’s Word and countless testimonies from a small few who see God working each day. Jesus is the center of their life and His salvation is their joy. This video has so much truth in it….. It shows the truth of the emergent church in which I participated untill Jesus opened my blind eyes and revealed the truth behind the deception. I must say that I too was very saddened by this clip. I haven’t read all the comments but I sense that a lot of the comments made are out of frustration of the way church has become. At present I am not in church and I don’t like it. I have been in both big churches with all the bells and whistles and smaller churches without the bells and whistles and both are sadly lacking. I have been in church where the Holy Spirit is allowed to have His way for a time but eventually the pastor looks at the clock and sees he better get onto the sermon so people can get out of here for lunch (I have been told this is the case). Those of us who are not in church really need to be on our face and interceeding for the church, they are our brothers and sisters, we need to be fighting for them. Let us not speaking negatively but let us speak in love, (do a study on love and you will see how we should be responding). By the way, we do not have it all, none of us are perfect in our Christianity, why would the world want to be saved when all we do is throw stones at each other. I won’t be posting this clip it is a disgrace to the Body of Christ, I am sorry. Having had more time to think about this video since commenting on it last night, while the creators may have been well intentioned, I believe it causes a great deal more harm than good. I have noted the comments of others above who say this kind of church is why they left the church, and some have not returned. If this is you and you have done that, you are the ultimate loser, but the church and our God of grace loses also. As an example of the foolishness of abandoning the church because of something you don’t like in the one you attend, here is an analogy to think on. When I experience a bad meal, I do not give up on eating food… because to do so would mean certain death. If you reject the church you reject God over time, regardless of what you think. No man is an island, and no one can survive spiritually without fellowship with other Christians. One of our primary callings in life is to feed and build up others in the faith. We feed them with the fruit our life produces as we sincerely follow and live for God and His glory. How can you feed and build others up, and how can you be built up yourself, if you alienate yourself from the church, and by extension, from God. If the church you attend is somewhere between partly to totally screwed up in your opinion, first make sure your opinion is correct, then if it is, either find another church, or, start making a positive difference in your church and challenge your leaders in a respectful way about what you think is wrong with the church. When you stand before God one day, and tell Him you abandoned church and God because someone upset you in a church, or because they caused you to lose faith, do you think He will say, Oh well, that’s OK then? He will not. If we look to other men and women for our faith instead of God, in time we will always be disappointed. If our faith is built entirely on God, and we understand that we were once miserable sinners, lost, living in darkness, and destined for hell, and that our faith is based on God’s Grace, what others do won’t affect us because our foundation will be secured firmly into the bedrock of Christ. If your faith rests on what your pastor or friends do, you are doomed already because people will always let each other down. The bible is clear that if we abandon God, in time He will abandon us if we don’t return to Him and repent. Rejecting church and God for any reason is as dumb as stump, because hell and eternal darkness is the alternative. I can’t say it plainer than that. So, will you risk your eternal destiny because you didn’t like the church you went to, or, disagreed with something there? If you are looking for the perfect church you will NEVER find it. It doesn’t exist, because it is made up of imperfect people who are saved only by the Grace of God. The world is far more screwed up than the church so to return to it, is to be happy with greater levels of hypocrisy, perversion and wickedness of every kind. if you want to be part of a great church, be a great member of that church, and challenge other brothers and sisters to be great members to, instead of judging others and slagging off about how screwed up the church is. As for this video, I believe the producers hurt the church, they do not help it. Some of the above comments prove this, because in some people it serves to harden the resolve of backsliders to remain living in their backslidden state. The cost of that has eternal consequences and does not bear thinking about. Are you saying that you should never leave – even though the word is not truly being preached in a place, Steve? In my experience, many who leave do so because the CHURCH is backslidden and they feel they cannot stay. It is not just “backsliders” who leave churches, my friend. Our church is nothing like this but to arbitrarily call it “worldly”, well, I’m not so sure. In my year I have seen too much jealously and nitpicking. Maybe what you’ve seen in the “world” started in the church. The real Gospel is this, Adam and Eve brought the horrible curse of death on to all of mankind. All of us are effected by this horrible curse, and the pain and grief it causes. Death is not a wonderful thing that sets an immortal soul inside of us free to head to paradise. Death is a sad thing, where a creature that God made dies, and ceases to exist. It is unnatural! But Christ came to this earth 2,000 years ago, and he broke the curse of death, and opened the doors of the grave, that whosoever believes in him will be raised up on that LAST DAY, and be granted eternal life in the New Earth. Watching the video, I thought it was sad and funny. Church has become a production on the most part. And frankly, I am sick of going to church. It would not be hard for me to walk out the doors and never come back. This would be the type of church I would like to be a member of. In your comments, you equate leaving church with leaving God. So in a sense, aren’t you making church attendance a matter of salvation? Through a journey of brokeness and great crushing I have found Jesus. Now I see Him in the Catholic faith, the Salvation Army, the Baptist, at the mall, in my kitchen, and yes in the Mega Church too. His heart beats with ours as we all journey on the road with Him. I am aware of the deceptive, the unscriptural and the works of man. I am also aware all around me of a Holy Bride arising to take its stand across the world. I personally know of truly saved, changed and Godly transformations arising through many arms of Christ’s Bride. I see a transformation in my son, yes, through a mega church. I have friends growing in leaps bounds in traditional churches and I also personally know others who are growing for Christ as they worship at home. Things will change, churches will birth, others may die. But let us focus on the beauty of His Holiness and let go of our criticisms and finger pointing go and look at Jesus. I love Him so I cannot belittle part of His Bride. I can pray for His truth to touch all churches. I haven’t been part of a church for six years, soon that may change. God has been dealing with my stinking thinking. This video was funny and had some truths in it as well, because, until we sit at the banquet table with Jesus the perfect church is not going to happen, but a perfected Christ is with us now in the so called Mega Church, the Methodist, the Anglican, the Sallies, the …………..
Jim – I really like your comments on what the “True church” might look like. Back in 2003 when I was just about to complete my writing / research on ‘How to walk with Jesus in the Supernatural realm of His Holy Spirit’ it suddenly dawned on me that it is not possible for any member in the current church systems to walk with the Lord, under His authority, except for the CEO of that church. The revelation stunned me. i was aghast but it was true. For example, how can any new Christian relay any thing from God to the CEO Pastor without threatening his position of authority in ‘his’ church? I then had to go back to the Lord and ask Him to show me what the genuine biblical church is supposed to look like. He showed me that every N.T. ekklesia was constructed on the same principles and operated in the same way that – Jesus first ekklesia operated – viz Jesus and the 12 disciples. His was the very first ekklesia, and the very same model that the apostles built upon to build the subsequent ekklesias in Acts and the epistles. Jesus ekklesia was a simple 2 tier structure. God on top and every member ( including Jesus) underneath God but THEY WERE ALL ON AN EQUAL FOOTING. Remember that Jesus did not exercise any authority within the group. What set Jesus apart in the group and what made Him outshine all the others in such a powerful way was that Jesus – was 100% submitted to the Father. Jesus walked in the Spirit with His Father 100% of His waking day. And Jesus was able to do this because He knew how to hear and accurately discern the Father’s voiCe. He understood FAITH AND HOW TO PRAY THE PRAYER OF FAITH. And it was these skills and understandings – of how to walk with and have a 100% intimate relationship with the Father – that He DEMONSTRATED and TAUGHT the disciples. The disciples’ training consisted of some doctrinal teaching but by far, the greater emphasis was placed on how to walk with the Father (and later Jesus by His Spirit). This last emphasis makes sense. If we have wrong doctrine but a real ability to hear our Father then He will soon correct that false belief. This skill of walking with the Lord, by His Spirit, is littered throughout the New Testament and demonstrated by every significant member of the ekklesias. Just think of the apostles, and later on Paul, Ananias (Acts9:10), the disciples Barnabus, Simeon, Lucius, Manaen and Saul (Acts 13:1), the disciples of Tyre (Acts 21:3), and Agabus in Acts 21:10. I would be happy to expand on this a little if any one is interested. And a good Christian friend has just recommended to me a good book on the subject called ‘What is Ekklasia’ by Mark Dagley. I havent read this work yet but my friend assures me that my research lines up rather well with Dagley’s. I cannot agree that Jesus did not have “authority” over the disciples. It is clear that He did. It is also clear that Jesus had an “inner circle” – even among the disciples. There were the 3 who were his major leaders – Peter, James and John – who were the only ones invited to see His transfiguration. Then there were the “12” as a group. Then there were the “70”. It is very easy to read our “post-modern” views on authority and leadership into the Bible. We then create as big a mess as the one we are trying to fix. Much of the folks who leave the church end up being small group cults. Even home groups have much issues, dislike authority, question giving toward people who preach teach the gospel, hate order, forsake gathering in the ‘public courts daily’ like the book of Acts, don’t like the doctrine of the laying on of hands. I agree with Kathy, Val, and Jim on their interpretations of a “true” church body. I personally have no problem with the people in the institutional churches. There are many precious people who truly are believers in Christ. I long for fellowship. The scriptures say, “Forsake not the assembling of yourselves together.” It does NOT say, “Go to a church service.” So, we are to assemble with other believers. Those of us who are true believers want to do this, but many of us are sick in our spirits of what we see in most churches nowadays. I believe a church gathering is simply a time for believers to come together to encourage one another, pray for one another, and share what God is doing in their lives. It is a time to strengthen each other “as iron sharpens iron” in order to go back out into a fallen world and be a bright light. The songs are distracting because they are difficult to follow instead of being simple, worshipful choruses that promote true worship. The children are all lying on the chairs or looking at a laptop computer, awaiting their time to go to “children’s church.” No one is truly connecting, except on a shallow level. When we have tried to connect with the pastor, he has become somewhat embarrassed even and hurried away to talk with someone else. One more dilemma for our family is our children. We have 3-year-old and 5-year-old sons, and we don’t want them growing up learning church in this way. Someone above mentioned church being a mission field. We have felt this way too and wonder if perhaps we should stay for this purpose. However, we’re not sure we’re up to it. We are not baby Christians, but we truly need some other likeminded believers to come along side us to help encourage us in our walk (as we would do for them). I believe that God calls Believers “sheep.” The last time I read about sheep, I saw that they still need shepherds. And the Pastor/Under Shepherd is responsible to care for and lead the sheep and to protect them from the wolves. We need leadership in the Body and the Five Fold Ministries from Ephesians describes it. In the home the father is the head of the home, but all our equal in worth. God the Father is the Head, but Christ and the Holy Spirit are equal in worth and in power. But they do the will of the Father. Someone needs to be the leader and take responsibility of oversight of the flock of God. Otherwise there is nothing but confusion and wolves can slip in and kill the sheep. I see that in the large mega churches very few are really covered by a shepherd who watches over them closely to protect them. There is no way the Body can receive the care and watching over they need in these Mega Churches. And sadly they have no accountability to anyone, and most never grow in the Faith and in holiness as God commands us to. God never meant for His Church to be such. He wants us to have accountability to a Shepherd and Body of close knit brothers and sisters. And to give and receive love and have close relationships in the Body. There is where the safety is. It is where we learn to lay down our lives for each other. And God is well pleased because there is where the spiritual growth is. It’s sad that what this portrays, really is close to what happens in some ‘barns’ today. I mean, smoke machines being used in evangelistic meetings, and the police being called because of the noise in an evening ‘worship service’. But this video does not bring glory to God. A time to stay and a time to go. For the sake of family unity, I attend such a ‘barn’, although I feel a blackness there. It is not where I want to be. However, God does speak to me occasionally there, thru a word of knowledge from one of the leaders. It is obvious that everything is strongly controlled by the pastors. There is no freedom given to the HS to speak thru any of the believers during a service, although, many years ago, one could feel God’s presence in the congregation, and a word from the Lord could be brought forth. The best part of it is that I attend a home group from there, in which untaught believers discuss a passage of Scripture. There is a willingness to hear more of God’s ways, among some of them, but I wonder just how many of them will receive the spiritual edification and growth in faith to enable them to stand in these last days. I pray privately for them. ‘The church’ ought to look just as the NT prescribes – each believer sharing for the edification of the group of believers. Let’s work WITH HIM, wherever HE has put us for now. You missed the point I was making. Jesus (God the Son) came to demonstrate to us – what is to be Christ like. Never, did He ignore the Father, and begin to exercise His ‘human’ authority over the disciples. Jesus chose at every moment, to watch the Father (listening from the Holy Spirit – Who relayed the Father’s rhema Words) and Jesus then RELAYED TO THE DISCIPLES what the Father led Him to SPEAK. The Father also led Jesus in what He should do, and when to do it. Surely, you are not going to argue against the scripture – are you? The point being made above is that Jesus did and said what the Father led Him to do and say – moment by moment. Jesus relayed the Father’s Authority over the disciples. This is the Christ likeness that Jesus came to demonstrate for all believers. That the only AUTHORITY that may be exercised within the ekklesias is that which comes from the Father (the Spirit of Jesus). And the only members who can relay this authority are those Christians who are listening to and obeying the Father. Did Paul command God in his announcing of Ananias and saphiras death – or did God command Paul to announce their deaths? Sorry – I thought you were advocating today’s “post modern” thing of throwing authority and leadership out of the church. But it seems you are advocating “God-led” authority. I am certainly fine with that!! There is a lot of false authority in the church today. We need the real thing. Andrew. What I am saying is, if a church is dead, find one that’s alive. If your church is sick but not terminal, maybe you can do something to bring light and life back before running off to another church. I am also saying to those who leave the church altogether because they didn’t like the state of the church they attended, that they ultimately lose when they do that. If you are in a dead church, leave it and find another that’s alive, don’t abandon God and blame screwed up people as a reason for dropping out of church life altogether. Abandoning church is not necessarily abandoning God, my friend. The two can be very different. Yes, you are right. The house church movement, in its rejection of the current unbiblical system, they are certainly acutely allergic to and overly wary of man’s ‘authority’ – that has meted out so much spiritual abuse. I dont think they are in such a bad position though. Because, their current mind set will not be easily swayed by any thing less – than the mind blowing power of the Holy Spirit – when He begins to operate through God’s anointed and submitted ‘leaders’. You might have noticed, that the 100% genuine ekklesias of the N.T. were all led by those who had received the Baptism of the Holy Spirit. And the Baptism of the Holy Spirit endues one with Power. A Power that is not there for your own personal use but a Power that easily guides that anointed one into what to do and what to say. And as the recipient obeys the Spirit – the Power flows. If the recipient will not obey the Spirit – disaster always follows. Virtually all of the ‘notables’ like Wigglesworth, Finney etc. had an incredible encounter with God and received this Baptism FIRST before God led them into evangelistic ministry. I believe, the end days church will be raised up on that day in the same way. But we need to understand FAITH and the PRAYER OF FAITH and the principles of How to walk with Jesus and how to accurately HEAR the Lord’s voice – to be effective for Him on that day. And it is these skills that were openly taught and practiced within the N.T. ekklesias. As to what the N.T. ekklesia meetings looked like, that is another study. So, where is the discernment in believers that comes from hours in the presence of God? Hours pressing in and crying out to be holy as He is holy? Does anyone do this anymore? This is where true discernment comes from. Have those who speak that others are “judging” when they speak of being grieved at the state of the church as a whole been there? If you’ve been there, you know it. If you haven’t, you think you have. Being there (in His presence) means you receive correction – very strong correction. He peels back the layers of your heart and shows you how evil you can be without Him. When Isaiah said “I am undone, for I am a man of unclean lips,” he didn’t mean that he had actively walked as a blatant sinner. He was a godly man. But all who come into the presence of a Holy God realize their great sinfulness without His cleansing and mercy. This is why these are grieved at less than a holy word from God Almighty Himself. These clearly know when a word is shallow and cannot possibly be from God’s heart. This is why I want to hear a hard, bold, convicting word from God’s heart, not a watered down, mamby-pamby, weak, feel-good message. This parody was nothing that I would want to see in my church. I think it is absolutely necessary that there should be people who can get the mind of God as to what would attract young people to a service. Whatever number it would attract would only be ones who God draws in. He knows who has a heart that will respond. Any who do not respond would not become true believers and would be a waste of time to expend energy trying to convince them. The ones that do respond will become faithful followers of Jesus Christ and a help to grow the church and it’s ministry. I like parodies. Ignatius the Youth Pastor video is one of my favorites, but I am also connected to a mega church in Florida that is connecting 3000 churches in 52 counties, and its only 50 years old! A move of God built it, and the continued presence of God sustains it. The reason that I am back out of the wilderness is because I have found out that “church” is where I do my reasonable service back to God through prayer,worship,offerings, and gaining wisdom and understanding, and above all accountability through taking my place in the Body of Christ as a doer of the word to the benefit of all. Its in that corporate anointing where “unity” becomes a by-product, not just a goal! I am a little bit distressed, not by the parody alone, but by all the excuse making from the E-Christians, and disgruntle loners. I encourage you all to pray it through before you comment. One last thought. I heard it said that the early church prayed for ten days, preached for ten minutes, and thousands got saved. The modern Church prayed for ten minutes,preached for ten days, with no converts. Where do you think the problem really is? James would probably be leading a Messianic Synagogue. John would be welcomed everywhere and talked about after he left. Jude…well…he wouldn’t be welcome anywhere. Peter would be very lonely but, like Paul, he would never stop Preaching about His Lord and Savior. Jesus would have to preach in the open air in parks and such (if he had a permit from the city) He would pretty much be called a heretic in most churches like his disciples were in the synagogues of their time. Most would follow Him for the miracles He performs but as soon as He got “serious” most would stop following Him. History just keeps repeating itself…over and over again. we do not push for tithes and offerings and even tell newcomers that this service is our gift to them and they don’t have to give..we have many Godly people in our church, some leaning to the more charismatic style and some being much more conservative..no doubt there are some who attend as they feel it might be an easy believism as i heard one say….but we have sermons on sin, the blood, holiness etc..so i feel there is lots of room for a greater understanding of God and relationship with Him and Jesus..
the problem is not as much in the pew as in the pulpit. Run from gospels that focus only on prosperity, run! Run from those who use the name of Christ only for their personal gain! Run from those who are pricking your pocket in the name of Jesus, run! Run from gospels that only focuses on self-improvement; how can I improve myself; three steps to a better personality. Three steps to this and that. Run! Run for your life! Run from churches where men and not Christ are glorified, run! Run body of Christ, run! Get out! Don’t touch the unclean thing! Run from churches where there’s no Bible, no theology, no soul-searching word, no repentance of sin or no mention of the Blood of Jesus. Run! It’s unclean, run! Run from churches where worship-leaders are cold, where there is no sense of God, because they don’t know God! Run! Run from churches where you are comfortable in your sin. That is a table of devils! If you come into the house of God and you have sin in your life and you are not convicted of it, you are at a table of devils! Run from pulpits where they are using it for their personal or political agendas, run! Run from those who are preaching division between races and cultures, run! Run! Get away from it! Turn away! Switch it off! They know nothing of God! 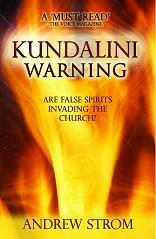 Run from ungodly spasmodic movements and endless empty prophesying! Beloved, church, run! Run for your life! Run from preachers that stand and tell stories and jokes. Run like you’ve never run before! Run from those that are only after your money, run! They use one gimmick after the other, one foolish thing after another to get your money. Run! I was in one of those mega-“churches”. God, yes the LORD GOD ALMIGHTY, took me out and into the wilderness for seven years. I can tell every body with sincerity and honesty that I learned and grew more in these seven years than in my previous almost 40 years in the “church”. Now He is using me in the streets and everywhere He leads me. God’s heart is for the widow, the orphan and the poor. Luk 6:24 But woe unto you that are rich! for ye have received your consolation. The rich have everything to their disposal, but yet they refuse to serve the Lord Jesus Christ. Everywhere is suddenly opportunity to minister to people. God is bringing people into His Kingdom from all over. He is building. Nobody else. I am also one of those who has temporarily stopped attending church because I can’t find a church that makes a practice of following God’s Word more than helping attendees to feel comfortable. I used to go to a church that followed the model of usually singing three or four songs in the beginning of the service, having announcements and offering, then a half hour sermon, and then one song to close out the service. That church split twice and as a result had many wondering what we should do next. I suggested getting back to the basics of what it really means to be a Christian and focusing on those things before moving on to any other teaching. We started a worship night on Friday nights. I thought it would be great to have a couple hours of praise and worship. They thought it was better to limit it to six or seven Hillsong songs. The reason I left the church is because we lost the pastor and had outside pastors trying to say we should focus on being united together and forget about studying God’s Word to find out what it meant to be a Christian, like we originally planned. I even had a pastor say that the Word of God was not needed for direction but was only good for reference, that they should get all their direction from the Holy Spirit. Even my ex-wife, who goes to a different church, is intent on believing what she believes because of her inner “witness” and not because she can clearly show the God’s Word has led her to believe what she believes. 2 Timothy 3:16 says “All scripture is given by inspiration of God, and is profitable for doctrine, for reproof, for correction, for instruction in righteousness.” 1 John 2:4-5 says “He that saith, I know him, and keepeth not his commandments, is a liar, and the truth is not in him. But whoso keepeth his word, in him verily is the love of God perfected: hereby know we that we are in him.” So, we aren’t known of God because we practice love in the church and because we do good things for people. We are known of Him because His truth remains in us and we do what He has commanded of us. And how can we know Jesus unless we love His Word the same as we love Jesus Christ? John 1 says that Jesus IS the Word of God. I believe those who have a personal relationship with Jesus through faith but don’t love His Word so that it takes over their way of thinking and acting don’t know Him, according to 1 John 2:4 and John 1. Anyways, how could anyone prove to Jesus on the judgment day that they love Him and blow off the Word of God? Jesus used the Word for every attack that came against Him by satan. He didn’t respond with worldly wisdom, He responded with the Word of God. In the same way, how can we attempt to set up a church that isn’t totally based on God’s Word and say that we love Jesus or know Him? Any church that strays from the examples given to us in the New Testament about how a church should look and act are churches that I would not want to even spend time in, because I don’t want to get sucked into that way of thinking. My comment, for what it’s worth, is that this video was a cynical joke at a pretty obvious target. The aim of the ‘contemporvant’ church is laudable, as long as it helps to get a true gospel message to an increasingly un-churched world, creating disciples of Christ (through conversion and discipleship), to the glory of God. The video doesn’t reveal the spoken message (or the songs’ words), as it focuses on the forms used and the subtext – so it’s hard to say to what degree this mocked-up church’s message is true. Andrew. Abandonment of church generally leads to abandonment of God. Take a close look at Christians who have not been to church for years, without good cause that is, like geographical isolation or ill health, and you will see people with little or no relationship with God in most cases. I know this from hard experience, because I stopped going to church because I was too busy doing life and business, and after 15 years I found I had regressed back to my pre-Christian state. But for the grace of God I would still be in that lost state. I have observed this in more people than I can count. Also, by neglecting church, we neglect those in the church we can help and encourage. If going to church is only about US and what WE can get out of it, then what does that say about us as people? It says we are selfish and frankly don’t care about others. They have good intentions, but at their core they generate more problems that outweigh the “success” they have. They rarely produce genuine disciples,but instead raise up and keep busy or burn out countless people who become slaves to the system. They generate a dependency on the methods they use…If their is no worship band, lights, entertaining speaker and “what will God do for me” type pitch, many would leave in an instant or struggle to continue in their walk with God. I have been able to get a good perspective on the daily fruit of various churches through running a large christian flat for many years from many of the churches in my city. Most leaders in mega churches have had in the past have been a nightmare to live with, unfaithful in their duties not paying rent, too busy to relate to us,, but always have plenty of time and money for their church. I have a question to add to Andrew’s earlier input… Can a church that uses the contemporary methods, principles, motivational techniques and business practices of the world communicate a gospel and kingdom that we are told is not of this world? That video was so weird, PSYCHOLOGICALLY DISLOCATED is the best term I could think of. There was also a bad spirit upon it. If it was made by Christians then this is not godly. If it was unbelievers then fair enough as it is justified criticism of the pathetic state of such mega churches. We’re in deep doodoo for sure. Oh well . . . maybe Harold Camping will come up with another date soon and we can all be whisked off into Jesus World before the next service. I also see Michelle’s point: “How the Christian can feed the multitude and be a blessing. The organized churches have become the mission field in America.” Welcome, Michelle, BTW! The fire of God must bust open the doors of the system, and get some oxygen. It’s up to us to take the fire outside. There’s no justification for not serving the Lord. The “Church” not the building but the living organism is still God’s instrument in the earth and always will be. God will continue to draw people to “it” because the “Church” and Christ are inseparable. That the “Church” needs to return to it’s original and eternal purpose is indisputable. Christ is building even now this “Church” as He promised and we will all see HIs intent fulfilled before our eyes. He will not fail. It is obvious that many have left churches – in part because of some of the things brought out in this parody. The problem with some of the responses (not only regarding this article but others which have been previously discussed) is that many have left the church altogether. Some have started home churches, others aren’t a part of any church anywhere. I can’t speak to individual situations, but I would caution those who start a house church to make certain they are called by God to do so rather than doing so out of wanting to “be in charge” or be the “big chief.” As one person mentioned above, ministry is messy. True ministry from a servant’s heart is not easy, not for the lazy, and not for the one who is not dead to self. Rather it is for one who is called of God (often with personal objections and wrestlings with God) and for one who lives in and for Christ and for others. It costs everything. There is hard work, hard study, hard prayer, and carrying your cross daily. Are there rewards? Of course, but often not in this life and not without much work and spiritual battle. So, those who would lead must know how to follow; those who would teach must be taught and be good students; and those who want to disciple others must first be a good and successful disciple. So, be certain that your desire is a call from God and not merely your own selfish desire and the deceptions of your own heart. For those who have left the church altogether, I understand many of the reasons why, for I, too, have been on the receiving end of many of the results of corruption in leadership, false doctrines, doctrines of demons, occultic/kundalini practices, pride, spiritual abuse, etc., etc. I understand the reasons why. I have sensed, however, that some of you have become bitter at the church and have left it altogether. These things are not of Christ either. Forgiveness is what He requires and I would encourage you to forgive and pray for those who have despitefully used you or hurt you or betrayed you. Also, we must remember – the Church is Christ’s idea and His design for His people. Those who reject the Church are rejecting Christ’s body and His purposes. If one rejects the Body, has he not also rejected the Head? 1 John makes it quite plain that you cannot legitimately claim a love for the Head if you reject the Body. The Scripture makes it clear that we must be part of the Body and love it – even if it isn’t easy! I will admit this can be difficult – especially when so much of the Church is backslidden, corrupt, and walking in the flesh. Although I left the denomination I grew up in about 8 years ago, it is a very rare week when I do not attend a church service. I have sought the Lord and followed His direction to various churches. In each, I have tried to be involved as an active part of the Body of Christ. Often, either the leadership has outright rejected the ministry of the Holy Spirit (and me along with it), or God has led me to leave due to other reasons. However, the Word instructs me to be part of His Church, so I keep being part as much as I am allowed by the leadership and guided by the Holy Spirit. We see this commitment to God’s people, not only in the New Testament, but also in the Old. The prophets were sent with messages of calling God’s people out of their sin, corruption, and backsliding. If anyone saw the horrible state of God’s people, it was His prophets. They, however, did not leave God’s people but rather continued to minister to and reach out to God’s people with the truth and with love. Sometimes, they even used mockery and parody to get the message across, but they did not give up on God’s people. Even when God destroyed His people, His true prophets did not give up on His people. Read the Book of Lamentations. So, I would encourage those who have turned their back on the church to make themselves an active part of a church. Seek the Lord and keep seeking out a place of worship. Sometimes this may mean going to different churches. In the last 8 years, my wife and I have likely been to 20 – 30 different churches. Some were megachurches, some only a handful of people. Some were only one visit, others for a year or more. As we have sought the Lord and stayed committed to His Church, however, we have recognized that He had a purpose for us in each church we’ve been in. While the modern church is often far away from Christ and His purposes, His Church will prevail and every believer is called to be an active part of it. That may work out in different ways for different parts of His Church in different geographical places and situations, but we are still called to be an active part of it. WOW! I was typing out my last post while the two before it were being posted so I did not see them until after I posted mine. It seems to me that the Holy Spirit is trying to get a message across here when three posts in a row (unbeknownst to the others) speak to the same issue. This is exactly why I love my little church. We still share the gospel as it is written. We still sing about the blood. In these big mega churches, “WHERE’S THE BLOOD”? All the money that these so-called churches bring in where does it go and how is it put to use? My church hardly gets over a couple of hundred dollars in a week but God keeps it going. We are lucky to have at least 50 people there for a service. I love a church where you are known by your name rather than by your wallet. A sad commentary on what passes for “church” today. Holy Spirit, come and deliver us from ourselves. lets keep things basic…Jesus style..:-)) when Jesus was on earth he had one robe, and one pair of sandals…(its hard to be Jesus but thats in the end what we strive for right?) in the time Jesus was here on earth they had plenty of music going round…plenty of everything to make all shows spegtacular…YET JESUS DIDNT USE ANY PROPS, ANY LOUD MUSIC, ANY BACK UP TEAM!! non of that even though it was all very available! (HE WAS GOD AND COULD HAVE HAD 600 BACK UP SINGERS APPEAR FROM THE SKY!!!!) he stuck to the basics of making God name big in every way possible. These big stages, loud mic’s and over the top props used today is not the way Jesus had inteded! He was a simple man and simple things mattered!!! we need to leave our over the top ways and return to basics and let the Holy Spirit flow meatings and gaterings! that video is exactly how things flow, and leave no space for Holy Spirit to make an apearance as they are too busy running their own shows! great video!!!! open the eyes of the blind! Jesus should be made big, not put their beautifull faces on big screans!!! I understand and see the wisdom in the warning about leaving church that Pastor Wayne and others above have expressed. Leaving the church is definitely not a good idea… defining what the church is, its life, message and power, the fellowship, leadership and encouragement that a true body of believers blesses us with are non negotiable necessities. It is important to differentiate between the church and christendom as a system, program and organization not living under the headship of Christ and not lead by the Spirit… This is what I believe people are to reject and leave, not the church. To be against The Church of God is to be deceived, to come out of a dead, false system is obedience and liberty… but only as we enter into true living body of believers, fellowship, instruction, discipleship and purpose, the danger is that many are not taking this second step. S-o this is a joking, point, made? The early church was LOCAL, a place where folks could chat, share, care and worship together. A church on the street, open house. Where are the young preachers who could preach and help in the smaller village churches and enjoy sharing their testimony ? Larger church pastors do not appear to encourage young folk to help smaller fellowships. Anyone else notice this in their area ??? It you really love Jesus and lift Jesus up as He said He will bless you. Good to read the previous comments. “HE WHO HAS NOT SINNED CAST THE FIRST STONE” Where is the life and love here? People, we have to remember that God sent His Son to die for the Church bride, you would think the very least we could do is not just point out the bad parts of it and start speaking some life without judgmental comments all the time. Sure I’m not saying every church/mega church has it together nor is run according to what I believe is an exact biblical model. But we need to remember “he who has not yet sinned, cast the first stone” We have all fallen short and correction should be done out of love. All I read hear is a lot of people against church. Then you are no better, FELLOWSHIP, BEING CONNECTED TO A BODY BIBLICAL. So how correct someone for not remaining biblical then do the same. I have to say this video I found to be a little offensive, as it makes a mockery of us ALL. I think we are all guilty of at sometimes mentioning words, songs, spoken quietly, however not said or done in the spirit I think this video was created for. Nevertheless, we don’t need more of this type of unhelpful, material, we need people to start speaking life over this family model God calls His church. Gee if God gave His Son for the church, you would think the very least we could do is believe in it. Everyone knows of the counterfeit that goes on and the shame it brings to God, I would rather spend time my time showing the correct biblical type and picture the Word points too. PLEASE NOTE, NOT ALL BIG CHURCHES ARE WRONG. NT they meet also in large gatherings, why should we care what size the croud is, Jesus didn’t complain when preaching to the mega croud when he broke the bread and fish. Also, we have to be careful we don’t want to have this attitude that we have to go back to the times of NT church as God has seasons and different times. God is doing a new thing today, today everyone has this opinion that if we can just go back here, or go to this revival here, or this move of God over in this country etc, when just need to keep focused on where God has planted us at this time and allow ourselves to be used by Him. Singing, dancing, taking offerings, preaching, tiny groups, medium groups, large groups, healing meetings, we know these are all biblical, so why can all of these not be displayed in His church at one point and who cares if it repetitive, week after week. As long as it’s not driven by flesh and controlled by mans time restrictions, God will move upon these biblical applications. If you are not in a Body of people that God calls the Church, you need to find one, where you can grow and are genuinely cared for. Lets get back to advancing ground from the enemy, not fighting with other brothers on what is already our land!!! Be blessed! There’s a lot of truth in this video. The “church” is preaching a social religion. However, when I watched some of a second video you have posted—“Hillsong—a parody”—I was disappointed that you would allow this to be posted on your site. It’s one thing to point out the worldliness in the “church” of today. It’s quite another to attack another ministry as this “parody” does. Point out what is wrong—but leave the name-calling out of it. Our job is to present the TRUTH—to present what is RIGHT and leave the convicting to the Holy Spirit. That’s HIS job. I have a hard time believing that you could even ask and not know what a true Christian would say about this display. Not right, sick, polluted take your choice. Not a service that any true Christian I know would stay for even one minute. A very sad thing to watch to be sure. We did not post “Hillsong Parody”. I don’t think I have seen it. You must have seen it on Youtube – not here. When I read the Word of God, I read about relationships and being close to God and our brothers and sisters in Christ. How can you do this in a Mega-church? You cannot, and it is for this reason that I am a very strong convert to and believer in the House Church. Here relationships can flourish in Christ, as well with eachother and really establish unity, and unity is what Christ wants. Just a note of encouragement for the disillusioned–there is a promise in scripture to the effect that we will find Him when we seek Him with our whole heart…and He is able to get us to that point because He is the author and finisher of our faith!!! We have been called and chosen to know the True and Living God through Jesus Christ The Lord and Savior! God so loved the world that He gave His ownly begotten Son that whosoever believes on Him, shall not perish but have everlasting life!! My apology, Andrew. The “Hillsong Parody” popped up as a “go-to” following the Church Parody that you posted. It is a direct slap against Hillsong, by name; and there is more than one. I know little about Hillsong, so I can’t comment on what they do, how, or why, but I have heard some good teaching in the few broadcasts I have had occasion to see. I am pleased that you had not posted that. None of us—no, not one—has EVERYTHING completely “right”. We are all—hopefully—trying to learn more every day. We all need to be studying so that we can know when we hear, see, or read something that doesn’t line up with the Word of God, so that we can deal with it. It is necessary that we are able to make a “judgment call” as to whether something is right or not, but not up to us to be “judge and jury”. Our Lord is quite capable of handling that by Himself. Thank you, and again, my apology. That video isn’t a parody. It’s what you could market (for real) to any assembly. It’s really quite well done with the spaces for insertion of names and messages just like a do-it-yourself website template. Question: does doing a thing like building a church business, doing it poorly, does that reflect true religion? Stop looking to institutions for your relationship. Where and what is your fruit? Follow you, Me,…. so what if there are mega churches until I return, Jesus might ask………. what are YOU doing besides decrying everything going on? Got LIGHT? Got Salvation? Its impossible in this day and age, that any business that grows (and yes, institutional church IS a business and must be run like one to exist) will stay small, puny, and resemble an amish or quaker schoolhouse. Where are your works? Where is YOUR “church”, – basement, home, outdoor, stadium, or otherwise? andrew_ do you attend a church? I just wrote three pages in response to this post, stating testimony and my points of view, but instead will say this. Many here are trying to discern what the Church should look like, and that is fine as long as our hearts are sincere, we are patient, gentle, humble and bear with one anothers burdens. There is much wisdom to glean from these posts. It would have been impossible for one person to deliver such enrichment and understanding to so many -the reward for connecting, one to another. My question/s: Are we connecting to each other regularly to contribute to the edification of others who need strengthening? Are we doing what we have been called to do? Let us pray for those who have been lead astray, but let us also protect the flocks to which we have been entrusted. Thank you all for finding the time to contribute and edify. Let us all thank Him for so great a salvation. its very exciting to see so many wonderful christians becoming part of the answer than the problem. imagine this. a shopfront or place where people like on this forum could gather in an informal way where you didnt feel clostrophobic or judged and where it wasnt structured and programmed, [like a union meeting lol].a gathering where giftings were blatantly obvious because everyone could see who was flowing in what gift, rather than just someone with a certificate from some bible college.where the spirit of the lord is there is liberty, not stifling formalism. those who are clearly recognised as leaders would have to have humility and a truckload of it, in fact you would not be ‘endorsed’ otherwise. in a gathering of college students a young man asked smith wigglesworth what was the key to his great spiritual success. the old warrior replied “young man, you have an enlarged head, i have an enlarged heart.” [oh dear].i disagree with some mindsets here. baby christians are gullible and are in deed looking for fresh milk and nurturing and compassion, not some egotistical little judgemental wimps.even the strong and mature are repeatedly told to “turn away from those who have a form of godliness but deny the power thereof”,”dont even sit down and eat with someone who calls themselves a brother but is a fornicator,drunkard,extortioner,greedy,railer etc,” evil communiacations corrupt good manners” ,so you see its very important who you associate with,.some folk can have a dreadfull affect on us especially ministries. listen friend, it stands to reason if a pastor loves the truth then he will preach it ,right ? THERE’S YOUR PROBLEM, WE ALL KNOW THERE ARE NO PERFECT PEOPLE OR CHURCHES GOD LOVE EM, i have never gone looking for perfect churches,” out of the abundance of the heart the mouth speaks” but how can i join myself to a harlot [church in bed with the world].what did jesus mean by “you cannot serve god and mammon”,he meant its IMPOSSIBLE, mammon includes materialism and this world system.anyway at the front of these meetings would be food and clothing and money for the desperate and a coffee and a hug for the hurting.but not without the good news about the cross and the blood, just tell em.and those who actally come into the meeting give em your best. the alchoholic,prostitute,addict ex prisoner biker etc etc etc.ANYONE LIVE IN THE SYDNEY AREA ? The early church was formed by people who all left the established churches.Jesus spent 30 years of his life as part of the established church,the church of the world.He walked away and others followed him.They separated themselves from all false doctrines and sought the Kingdom of God which is NOT of this world. God’s Kingdom is NOT to be found in any of man’s churches. It is a simple matter to understand. It is a command to follow him.Disobey any of God’s commands and we will not enter God’s Kingdom. When the “ekklesia” is replaced by a “business” or “success” model….that is what you get….when numbers become more important than substance…..that is what you get….when feeling “good” replaces “true repentance” …..that is what you get…..when good “oratory” replaces the “WORD”…..that is what you get…..when talent-skills-artistry become more important than anointing that is what you get…..
Jonathan Edwards message “Sinners in the Hands of an Angry God”….was hand-written, read word for word in a monotone voice without once looking up from his notes…without choir, organ, overhead projectors or ambiance….congregants…literally saw the flames of hell…and came forward sobbing in repentance and the Great Awakening was born…. The choice is yours…..the results eternal…..
My spirit jumped when I saw this video. My husband and I just attended our old church last week because it is on the verge of closing its doors due to declining membership. What once was a thriving church of about 250 people has now dwindled down to around 30 people. Our hope was that maybe there were some significant changes made so that we could start attending again however what we found was what we call “the Format”. This video totally captures our hearts. This has been our concern. All format and no substance, no reverence. I believe that until that format is stopped and true worship begins that it will continue to die. I pray that we will be able to worship in spirit and truth and that the eyes of the people will be opened. Thank you for posting that video to bring truth to the church!! what is this? SNL? Hard to believe that Christians made this skit. Hearing about Christians mocking other believers in the name of EXPOSING TRUTH is not my idea of Christlike behavior. In fact, I doubt that Jesus would participate in something like this. This video nails it!!!! We have seen so much of this type of hype and selling of the world’s way of worship that we have left the organized religion of church and we have come out of the desert leaning on the arms of our beloved Jesus. We fed the “monster” as Brother Andrew so well described in one of his earlier e-mails. We finally understand what Jesus was saying when he said, “come out from among them.” The Babylonian god of confusion is so entrinched in the churches and sadly we don’t even know it anymore. We have found that we are the church and that Christ is alive in us and we are his sons and daughters. We are not religious but we have made the choice of Life or Death and we have found the Life in Christ Jesus in us to be the real deal. It is not about us working for Him it is about Him working the works of our Father through us and this comes out of relationship. The word “worship” according to scripture is an attitude of heart. This summer when a 3 ft. tall, 5-6 ft. long black bear came in my back yard as I was watering I found Christ in me to be enough to speak to the bear and tell it to go on that it did not belong here. That is what Jesus did in and through me. He was my calmness and PEACE to stay still and not be afraid. He was not 10 feet from me as I turned around to water the next bed of flowers. We do not need to fear anything if we truly understand who it is that reigns and rules in us. You will not get that in these hyped up programs and money grabbing mega churches. Christ came to set us free and paid a high price for our salvation. He taught me the symbolism of black which represents darkness and the bear which means invasion. American churches are being invaded by the devouring falseness of hyper extended selling of the gospel. The people are blindly not checking what they are hearing in the scriptures to see if it is the true gospel of Jesus. We have been dogged as rebellious trouble makers and just like these who gave an expo of what is really happening, they too, will be dogged by many who love the welcome all seekers no matter what they are seeking. Jesus chased the money changers out of the temple of worship and today we say that Jesus would not participate in exposing what is false. Come on, we belong to a King and Priest of Righteousness and one who wants us to have a moment by moment intimate relationship with our Father. The line is being drawn inthe sand and we will either serve Life or Death. It is that simple. We must choose Life and that only comes from our focus on Jesus. The same Father who fulfilled every commandment in Jesus so we could live in Life, Liberty and Love, not an empty hyped up religious performance. It cost Him everything, but we are not willing to allow it to cost us everything. The church has sold out to the three G’s. Glory, Gold, and Girls….God help us to return to the Christ God’s anointed living Son in our Flesh., We are in desperate need to live like it moment by moment every day…..NOT ON DISPLAY ON SUNDAY MORNINGS!!!! Thank you Brother Andrew for sharing this truth of what is REALLY happening. God Bless you. Time square church is a great example of the true church.Please check it out. Sad that so many people bag the church. Is it only true believers – washed in the blood of Jesus? I don’t think anybody is bagging the true “church”. I think perhaps they are bagging a “game” being played by many on Sundays. In seasons when “the word of the Lord is rare”, our Heavenly Father uses every distortion of truth to test, to reveal and to purge our hearts as his children. Megachurches are only one small part of that purging process. Exactly, Andrew. What is the true Church? This is a fair and necessary question to ask. If people out there are bagging out Church and have no idea of true Church nor do they seek the true Church, while they may be justifiably critical (we should all learn to develop critical thinking skills/sincere heart) they may become bitter (and God can change that) but risk cutting themselves off from fellowship of believers, which is dangerous. No one is stopping anyone from seeking the truth about God’s Church. In so doing, one should be just as tenacious about their walk with the Lord – PURSUING peace (not false peace) and holiness, without which no one will see the Lord (Hebrews 12:14). He is coming back for His bride (Church) and He loves the Church (pure and spotless). Earlier, someone said, the gates of hell will not prevail against the Church. That’s good, but it has to be a Church in the first place. The gate is a part of a wall, which is a defensive weapon. The CHrist mounted an offensive against hell and death through His death and resurrection. THe above post went on to say that we should not be judgemental and have faith, based on this Scripture. Does that mean put up with what is happening in the Church and my faith or our faith will see it all through? Is that wisdom? Is that discernment? The Gospel and the authority of Christ to trample serpents, scorpions and power of the enemy has been entrusted to us. Are we/our CHurches, in the might and power of the Lord, on the offensive, or defensive, complacent, apathetic, lazy, not searching/studying, without authority? I once fellowshipped with a Church that had outstanding hospitality, but lacked understanding on the authority of Christ. The leader was not opened to dialogue on the authority of Christ. I left that lovely fellowship and the enemy ripped apart 50-70% of young people’s marriages. So, is your fellowship a fellowship of luke-warmed Christians. Don’t be comfortable with that. Not saying you should leave, but seek those also who love and are on fre for God. The Word of God is our standard. Our lives/Church should measure up. When Apostle John was told to write down the things which you have seen, the things which are and the things which will take place after this (Rev. 1:19), this includes the Church. THe things which are, concerns the present age, the Church age. THey are prophetic, historic and present. The present age concerning the Church has seen the development of the Church as follows: Apostolic/Persecuted/State/Reformed (not reformed enough! )Missionary and now, Apostate Church. We cannot therefore ignore the warnings to come out of such a Church, but we must also allow the Lord to chasten us, which yields the peaceable fruit of righteousness to those who have been trained by it. Church wake up, we are in the times of the Apostasy. We must be led by the Spirit and by God’s word as to what we should do if the teaching is false, and if there are those who Lord it over others (E.g Nocolaitans), misleading others, but not lose our first love – Christ, as the Ephesians did. We have to ask ourselves: Is the world thoroughly/partially mingled in the gathering of the believers? If so, has this affected Apostolic doctrine and fellowship? While the Lord responds to our hunger and thirst for righteousness, He has also ordained that we should grow through biblical fellowship. There are some outstanding posts (too many to name) where people have spent years in research and experience to avail us of information that can lead to the beginning of a biblical understanding of how the priesthood of believers, the Church (Ekklesia), should function. Sally, true, “the simple, worshipful, chorus” seems to have sadly left many fellowships. However, every few weeks the Lord brings one completely back from obscurity and into my memory, for praise to Him. We should also pray for wisdom and discernment. Much of it will come when we search out the Scriptures, pray, hunger for truth (keep hungering), fellowship properly and allow the fruit of the Spirit in our lives to grow. I live in Albury NSW. I am a little older but none less bolder for Jesus. It grieves my heart as I am sure it does the Holy Spirit that churches today have brought so much the world into their services. Its really a “Karioki” ? thing and sometimes I wonder what God thinks about it all? I know he is not deaf nor am I. What ever has happened to the church of olden days where one could praise God without offending those beside them. Today it seems like dont touch this one or that one it must be men on men or woman on woman. I remember what Jesus did, He just spat on the clay and put it on the eyes. What a scene that would make if we did what he did! Yeah the Parody clip of a guy playing nonsence songs was just that “Nonsence”! The people who like very loud music come from a line of “Back masking” where if the music is loud it produces messages in the background. Pastor Wilkenson spoke on this subject some time back. Very interesting stuff. But I wonder where is the “Rightousness and Holiness” being preached today. I haven’t heard it of late have you? The church I believe has become an empty bottle and the lost just stay lost, there is no get up and go, giftings if any have them are sat on in many cases. How good it is to be somewhere different. A parody? More like the truth! Sad to say every “charismatic” church I’ve visited has been this way. So, I don’t go back. All the denominational churches are either dead or doing the same thing. This is not the bride that Jesus is coming back for! Praise God, there’s a remnant that will stand strong for the Word, the truth, and not succumb to such putrid ways. It would be nice to find some of these saints locally to fellowship with. Hey Lawry, I read somewhere that Jesus spat on the clay and put it on the eyes for healing because he was directly opposing the false tradition of the elders of his time. Apparently, the “law” was that you couldn’t heal on the Sabbath and you couldn’t heal by spittle (a form of poultice for healing) – on the Sabbath. Jesus also did other things to get the direct attention of the pharisees and saducees. So, it may seem that Jesus never did anything on the random. Everything he did had a purpose, not like some healers today who like to mimick other “great” healers and adopt a formula? I recently came across information that a Church group heals by blowing into people’s face. Oh yes, you see, Jesus blew into the face of the disciples and said … This is just as nonsensical as the music scene in Churches, mimicking the world. A man once slapped me in the face three times during a Pentecostal Church service and said: “Come out of him”. Poor man, who was he listening to? He must have been confused. He tried to cast out a demon of alcoholism from me. I told him I don’t drink alcohol. He apologised. I of course forgave him. But sadly, I think he was trying to mimick Smith Wigglesworth. My point? Test all things. Jesus wasn’t radical for radical sake. He was brave, selfless, intelligent, kind, … – Son of God, who only did what He saw the Father show him and said what the Father told Him (I think that is correct theology). And so began the era of no discernment, from Toronto to Pensacola, etc. Where was the teaching and the testimony on discernment? How I craved in those days to hear the minister share just one testimony of His teaching, or at least allow someone to edify the whole Church with an accompanying testimony that supports the teaching. Last week I shared a message for the Lord’s Supper part of the Church service. I flowed with the Spirit to share a testimony during this time. The song leader earlier shared how he only came to appreciate hymns when he actually thought about the words. So, we sung a hymn. I then shared about remembering the Lord and how we use different ways to remember Him. I told this new congregation that I was saved at 27 in a Pentecostal Church, never having been to Church in my whole life. I purchased a poetry book that was full of beautiful poetry. I tried telling some some men from a Christian biker ministry about the beautiful poetry book, but they all looked at me perplexed. A couple of years after, I told an elderly man about the poetry book. He told me, “That’s not poetry, they are hymns.” I asked him: “What’s a hymn? Anyhow, I bought old records and taught myself hymns while attending the Pentecostal Church, the year was 1993. FOr those who try to stereotype me, I tell them I wrote an award winning gospel testimony rap song in 2003. Disbelief. Then I recited the full version of crown him with many crowns to the congregation and continued my brief message. A one man band, singing or preaching, increases the chance of cult following, but when all contribute, no one assumes control, or gathers following, just follow Jesus instead. I bless those who minister in a non-NT Church, but grieve how many started their ministry way too early, influenced by denominational idiosyncrasy. Yes, Linda, it would be good to find hungry and sincere saints locally to fellowship with. At least there is one consolation, there is always someone to share the Gospel with. But oh, how I long for real fellowship! My dear friends in the Lord. I read almost all comments. What strucks me about critisizing christians is that they never stand up and do something to shine the light of Jesus Christ.Never live up to be the salt of the earth and the light of the world. Yet they go round about and critisize those who do work and bring many to the kingdom. While I agree with others who speak and bring to surfice many wrong things that are going on in the church today, I so disagree with chrictians who go from site to site…spend much time…never admit their wrongs…never submit to aouthority…never change..never get transformed into God’s image…but dare to speak negatively against those who at least bring people to the house of God by their life and ministry. None…not the pastors nor the preachers are reseponsible for our miserable life. Only we are…each oneof us is responsible for his walk with Christ. Those who are healthy spiritually do not go around speaking negatively about everybody and everything. You find them in fasting and prayer and groups, weeping and interceeding for both the church and the lost before the throne. I pray that I meet some of you there. In His love.God bless!